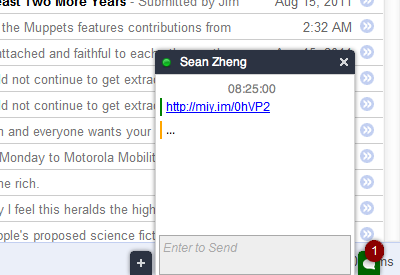 The extension also displays desktop notifications of incoming chat messages. You can also exclude sites where the chat window should not be on top from the Advanced tab in the extension's options page. Take note that the extension doesn't support file transfer.